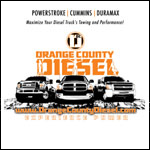 The Air Lift 82114 Medium Chrome AOS Sleeve Kit is an air-over-shock sleeve air bag that replaces coil-over-suspension. The Medium Chrome AOS Sleeve Kit provide more powerful suspension with better ride quality. When towing a large haul a truck might be pulled downwards, skewing headlight aim, increasing bumpiness and creates more sway while turning. The AL 82114 Medium Chrome AOS Sleeve Kit helps in fixing these problems to ensure a smooth ride. 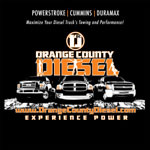 OC DIESEL offers Professional Air Lift 82114 Long Chrome AOS Sleeve installation.